A robust long square pot, expecially suitable for for planting Lophophora, Ariocarpus and other cacti with deep taproots. Should last many years, with care. 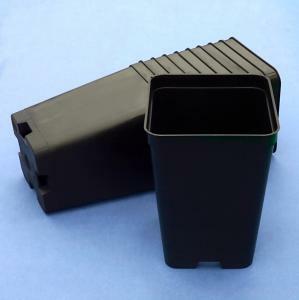 These are brand new Square pots out of the manufacturer's box. 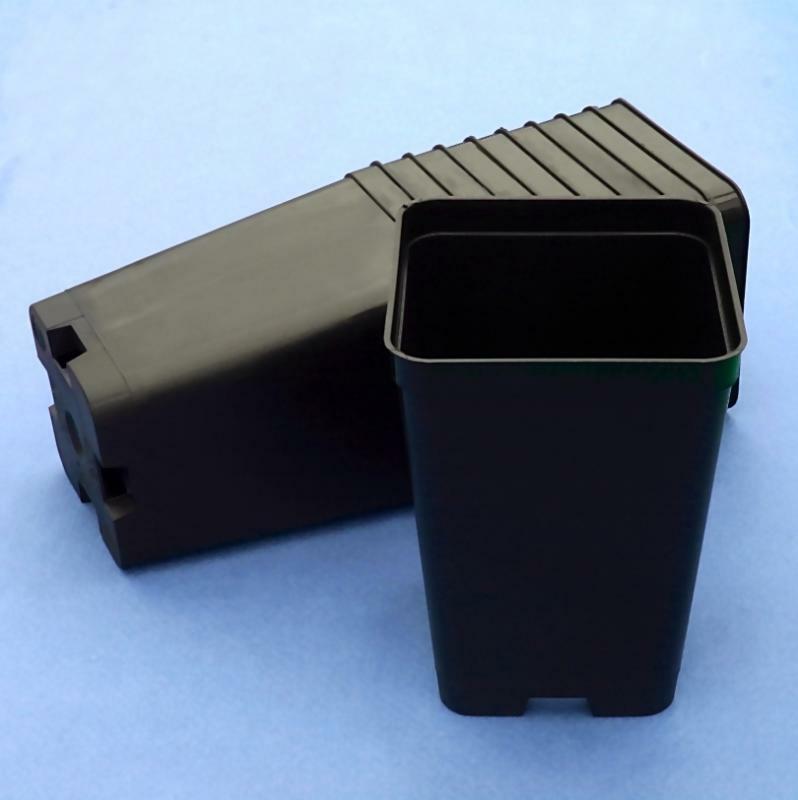 They are made of a very durable rigid thermoformed black polyethylene (rot/heat and frost-proof) This containers are very firm and stable. CAN BE USED FOR INDOORS OR OUTDOORS. They are standard pots measuring 10x10 across the top, and 14cm in height. These pots are perfect for planting Lophophora, Ariocarpus and other cacti with deep taproots.